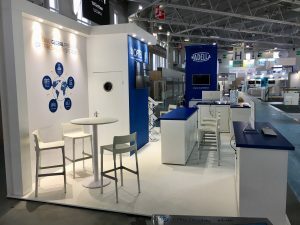 All4Pack is the global marketplace for packaging, processing, printing and handling. 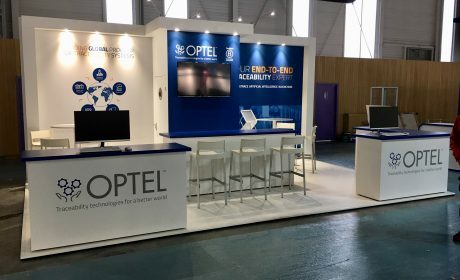 The 2018 show took place between 26 – 29 November at the Parc des Expoditions, Paris Nord Villepinte France, attracting 1,350 exhibitors and 87,000 professionals during 4 days of exchanges, demonstrations, innovation and presentations. 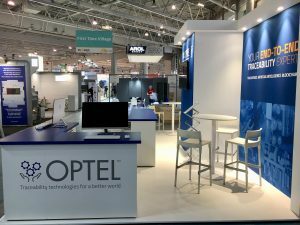 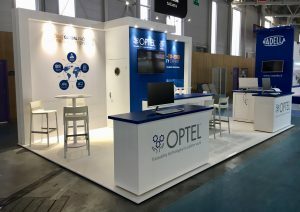 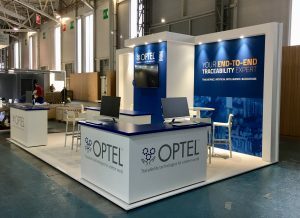 We were appointed by our clients Optel Group to design and build a bespoke exhibition stand for the show.